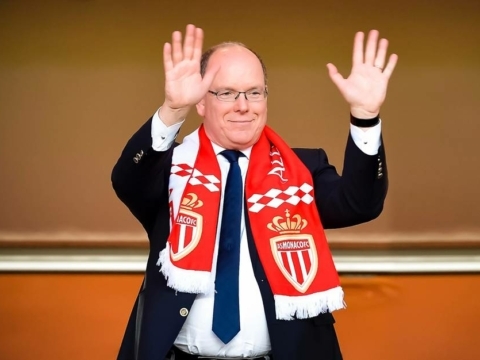 With the presence of Oleg Petrov (Vice-President and CEO), AS Monaco officially presented the Skyboxes during a Business Club event, which took place Wednesday evening (March 20th) at the Salon Honneur in the stadium Louis II. Equipped with the latest technologies, the delivery of the project is scheduled for August, in time for the 2019-2020 season. Juli Ferré Commercial and Marketing Director of AS Monaco presented these new state-of-the-art boxes that will have a breathtaking view of the pitch of the stadium Louis II. 18 boxes of 16m2 which can each accommodate 8 guests and will complete the VIP Hospitality offerings of the club (Boxes, Philipp Plein Lounge, Salon Honneur, Pub rouge et blanc). The facilities will offer new reception areas with all the necessary comfort for VIP clients; fully open to the game with folding glass partitions and with direct access from the car park. 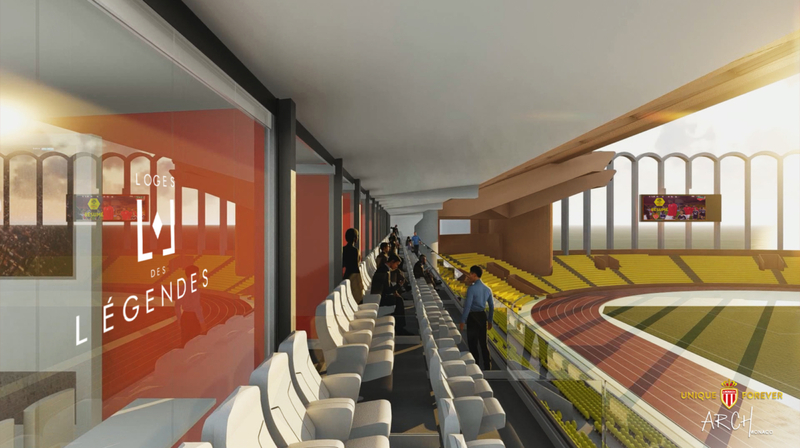 A special concept “Legends Skyboxes” was designed as each box will represent a memorable time of the club’s history. 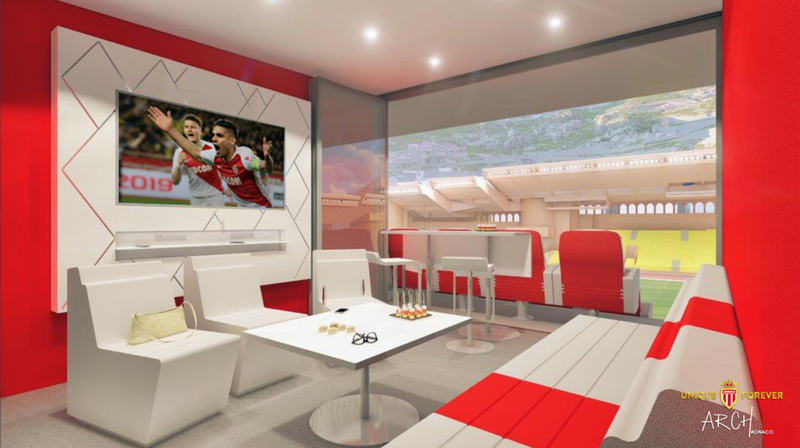 The presentation of the new Skyboxes is part of the #TheNextLevel, which incorporates all the long-term developments of the club and was presented by Dmitry Rybolovlev, President of AS Monaco, earlier this year.